I feel like I could burst... or cry... I’m just so happy. As I spent the day doing back to back visits with a slew of awesome humans, all of which were filled with love and good vibes, I rode through so much of my beautiful city. 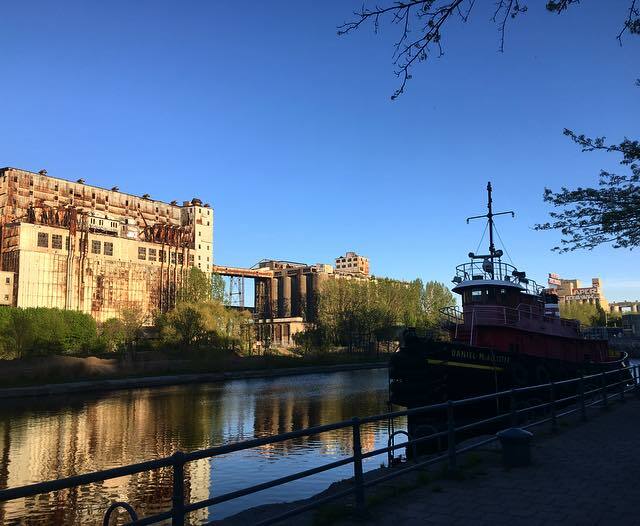 Downtown, the Gay Village, Old Montreal, Old Port, and all along the Lachine Canal. I remember writing last year that I feel like I’m in a movie because cycling through Montreal always feels like such a dream. I see so much, adore so much. Every pocket of Montreal feels different than the next and each one is filled with art and beauty. Riding along the Lachine I saw dozens of human groups, almost all of them sitting in circles on the grass by the water just enjoying life and the sun and each other and a few drinks (because as you may or may not know, it’s totally legal to drink in parks here). And as I rode by these humans living out a time in their life that I can only hope and assume they’ll look back on as one of the greatest times ever (because they’re lucky enough to live in Montreal! ), I wished I could create multiple Mandys so that I could be part of each group and also be in each part of my beautiful city doing all the fun things that are happening simultaneously at any given moment. I’m here but I want to be EVERYWHERE. There’s just so much life to live and hearts to touch and people to meet and experiences to have and sometimes it’s just a damn shame that our bodies need to sleep because it takes up so much of our life and I’d rather spend that time living multiple realities and enjoying ALL THE THINGS in ALL THE PLACES like ALL THE TIME. Today felt like magic. Most of my days feel like magic. I just dance with the rhythm of my life and each moment takes me to a new place - where time and the person and the situation meet just once - never to be experienced again. Although we can’t repeat any of our moments, we can certainly live them all. And throwing my ephemeral musings out into the abyss is one of the ways I pay homage to the moments of my life, of which there are many worth noting and celebrating because I celebrate ALL THE THINGS. And to me that’s truly living and for you it could be completely annoying but ask me if I care. I don’t. I just care that you’re living as fully as your heart can handle in whatever way does it for you. I care that you’re happy and that you feel loved. I care that you could die tomorrow knowing that you squeezed out every bit of goodness that today had to offer. Because I did. And I always wish for others all the things I wish for myself. I’m living each day of my life. I hope you’re truly living your life, too. Here's to life, because it’s filled with so much beauty.